Prep the hair with an ocean/sea salt spray for texture. We used THIS ONE from Wella! This can be done on any hair type. We did it on fine straight hair with zero wave. It’s pretty much just air dried and the the clip-ins were added. 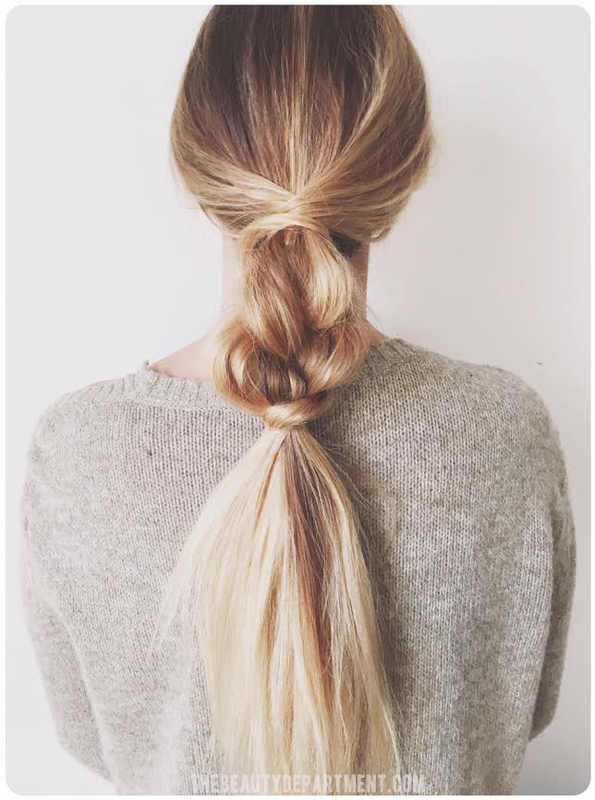 Take the braided part and gently loosen it up with your fingers. This will fatten the braid and add texture. I also love to add a little TEXTURE POWDER at this point before I pull it apart. Texture powder helps me keep the braid from falling apart because it has a little grit + hold.